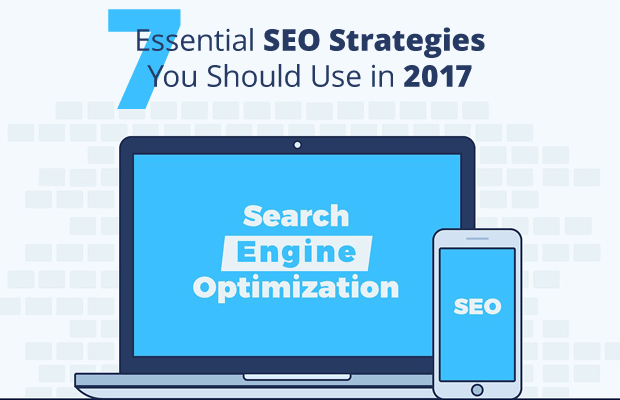 SEO Strategies to Look for in 2017: What is Most Important? Getting a high click rate and a preferred spot in Google’s search engine algorithms is always a challenging task. The most important thing to note here is that Google uses more than 200 factors while ranking websites. It is always hard to know which factor to focus upon while performing search engine optimisation on your website. What is the most important for a search engine? According to various analysis and consolidated views from SEO experts and Google Search Quality analysts, Content and links pointing to your website are the most important strategy for your website. Many people suggest that links are not important anymore and it is a new way to perform SEO without links. Such suggestions are wrong and one should pay more attention to links. The volume of your external links always plays a key role in determining link quality. Links with better SEO focus and anchor text to the external links needs to be relevant. It is always good to build quality links from reputed sources, journals and blogs instead of unknown sources. Links are a crucial aspect of SEO strategy in 2017 and SEO Company Sydney can focus on building relevant links to get your company on the first page of search results in Google. There is a strong correlation between SEO results and quality links to your website. One should keep in mind that just like links play a key role, it is important to ensure that your website content is also optimised in the best manner possible. Website content will always be an integral part of any website and it is going to be the most important SEO strategy in 2017. One should ensure quality website content with relevant links. Your website content should be original and updated regularly so that it can attract readers and keep the search engine algorithms interested in your website. Many think that content marketing and SEO are different areas but one cannot differentiate between these two strategies. SEO is more technical but marketing is the more holistic approach. The SEO strategies can only be successful or reach its endeavours if content marketing is performed in an effective manner. You can ensure the success of content marketing only if you use effective SEO techniques. Content marketing fulfils the demand of SEO while SEO fulfils the demand of content marketing so both strategies go hand in hand. Google is constantly changing its algorithm and rolling out penalty to those websites who use black hat SEO techniques. If you are looking to make your SEO campaign successful then it is important to pay special attention to link quality and content on your website. SEO Company Sydney can help develop quality links for website and also help in creating quality website content so that your website can reach its potential in terms of Search engine optimisation. it is always good to hire a professional company that can perform the task for you in a more effective manner. Platinum SEO services are a professional company that can meet your needs and build the best SEO strategy for your website in 2017.